There are various concrete grinders but for this article, we’ll look at hand-held grinders. Usually, they are the smallest concrete grinders and can be an extremely important, dynamic grinding tool for concrete demolition companies. Most handheld grinders are popular for smoothening out rough surfaces before concrete or any other coating is applied. However, they can also be used to roughen up surfaces when your walls and floors need some coating. Most hand-held concrete grinders, while useful for small sized projects and small spots, aren’t effective for large areas. To work on a large area or space, you will need bigger concrete grinding machines. Hand-held concrete grinders are also ineffective for profiling large areas of concrete, unlike bigger walk-behind machines. 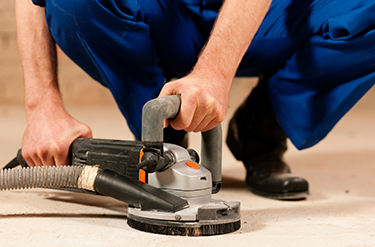 In Melbourne and its surrounding areas, get the services of highly experienced concrete grinding services like Megasaw. We offer world class and very professional concrete grinding services. Get in touch with us now at 1300 920 419 or email us at [email protected] for all your concrete grinding projects and other related works.